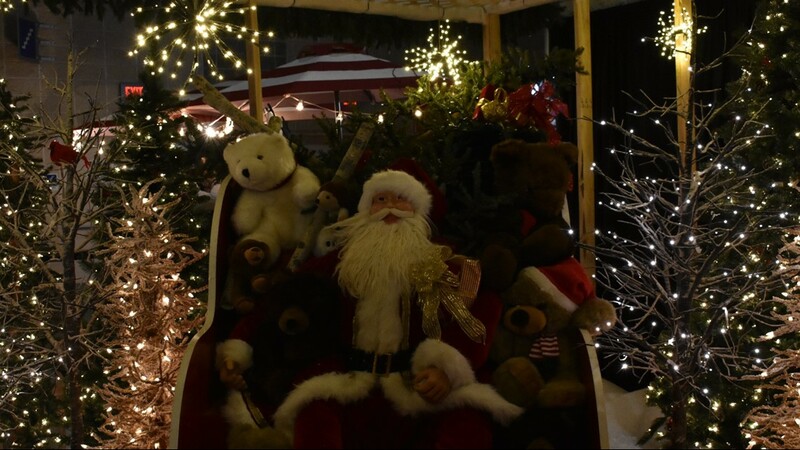 A large Santa doll on display at Fantasy of Trees. 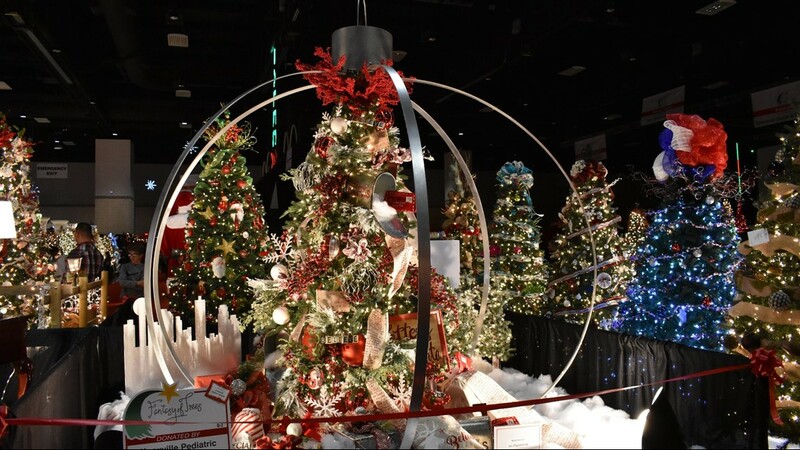 A collection of elaborate Christmas trees were on display among the many activities. 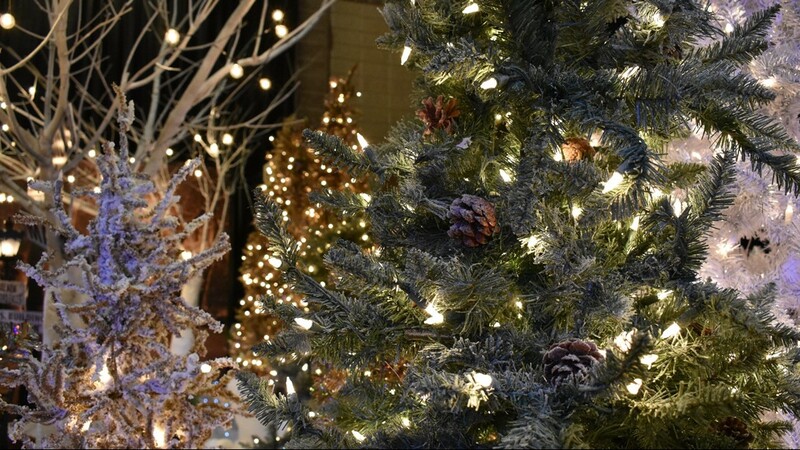 Christmas trees line the walkways. 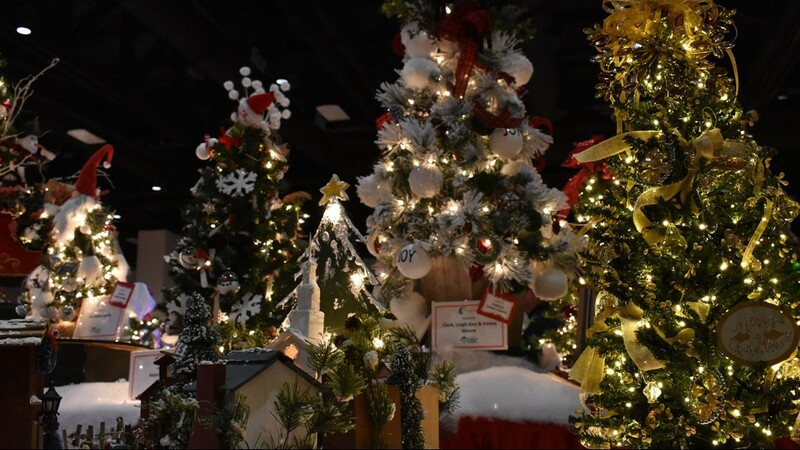 A Christmas carousel stands brightly lit in the middle of Fantasy of Trees. 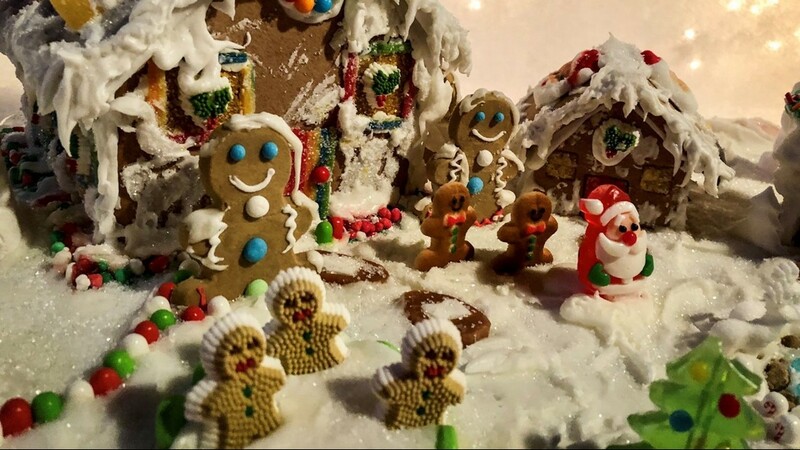 A legion of homemade gingerbread men and women are on display at the Fantasy of Trees. 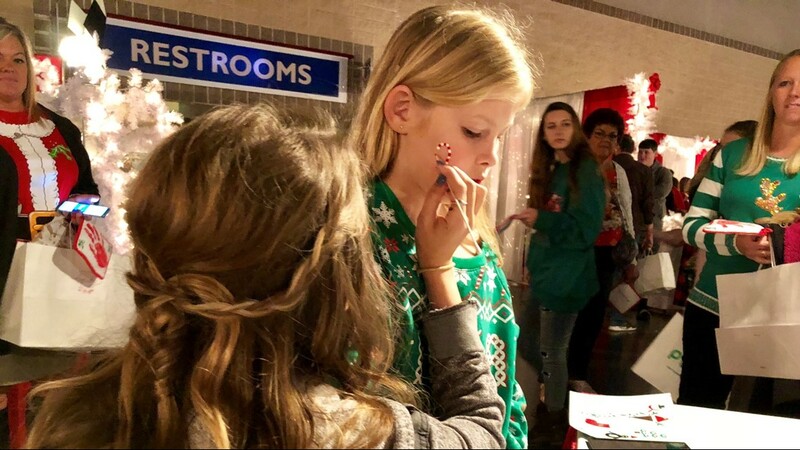 A young girl gets her face painted at the Children's Activities section. 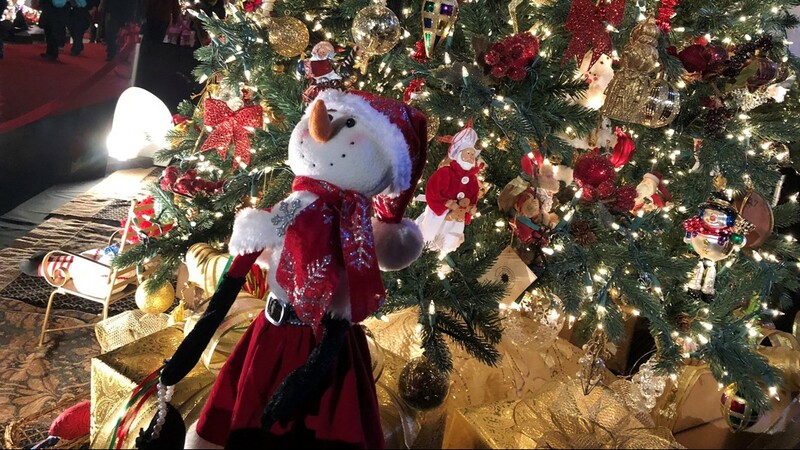 A stuffed snowman hangs from a tree. 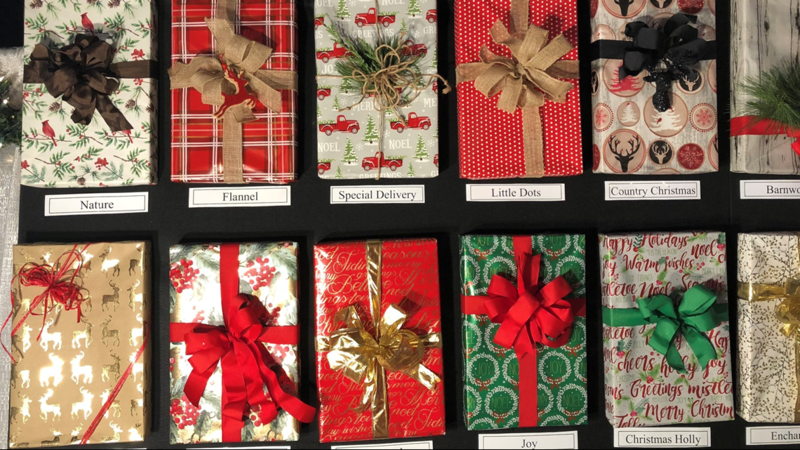 Different wrapping styles line the walls of at Fantasy of Trees. 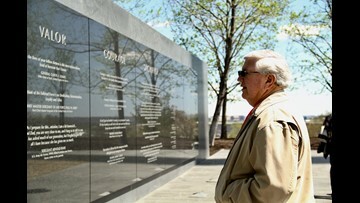 Photo by Madison Stacey. 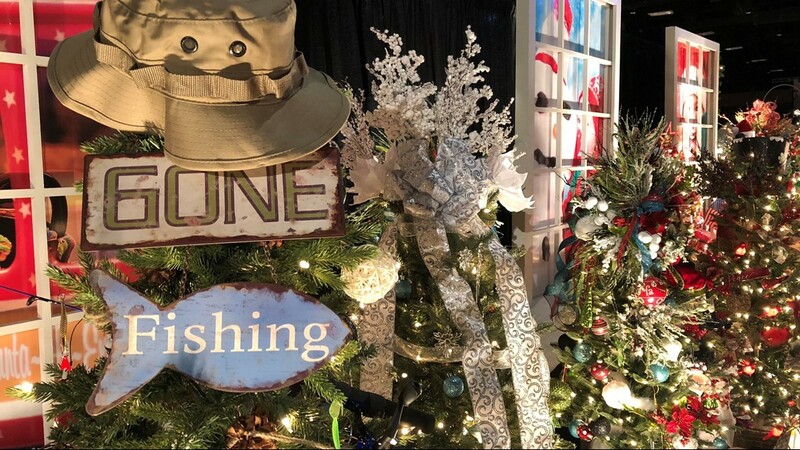 A themed tree at Fantasy of Trees says "Gone Fishing". 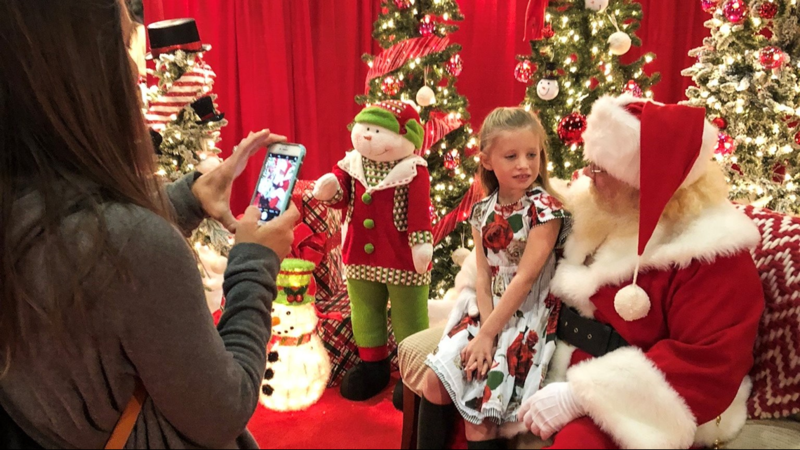 A mother snaps a photo of her daughter on Santa's lap. 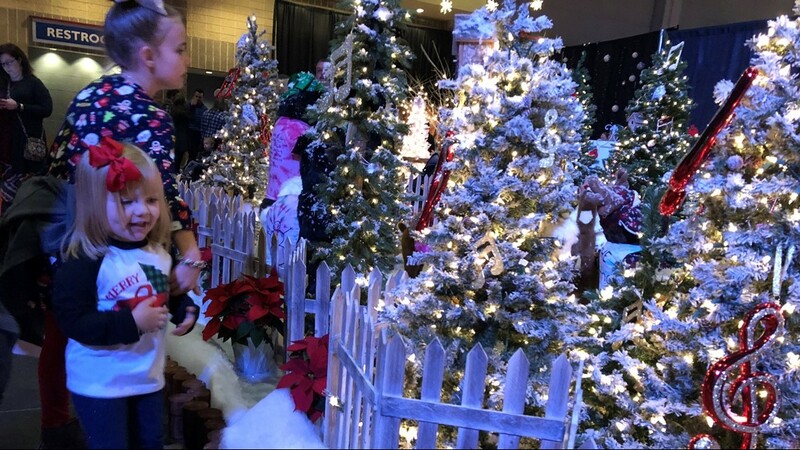 Young kids delight in the many Christmas displays around Fantasy of Trees at the Knoxville Convention Center.